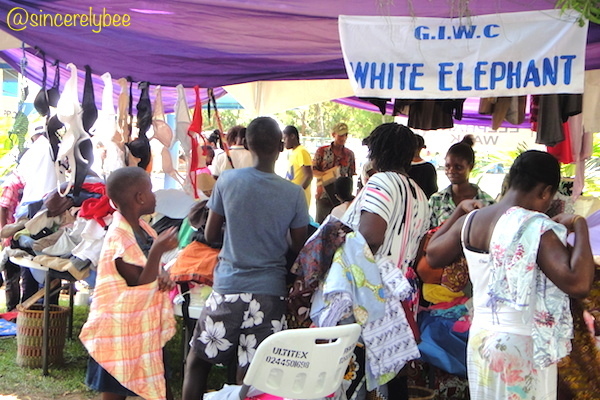 STILL NEW IN town, we checked out a bazaar held in a school in Cantonment on Saturday, 10 May 2014. 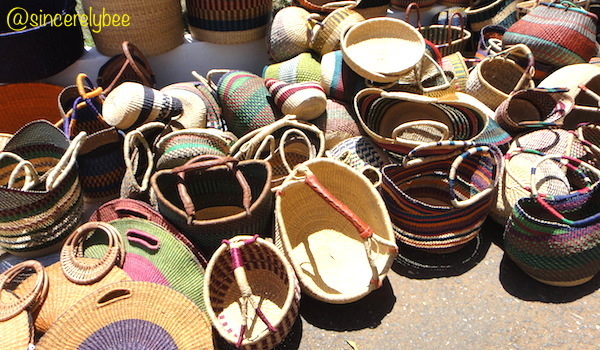 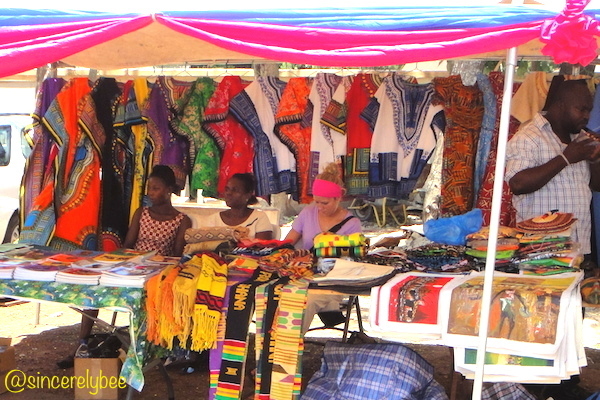 There were many stalls set up by locals, so it was a good opportunity to get to know its local arts and crafts; apart from sampling a variety of food and drinks sold there. 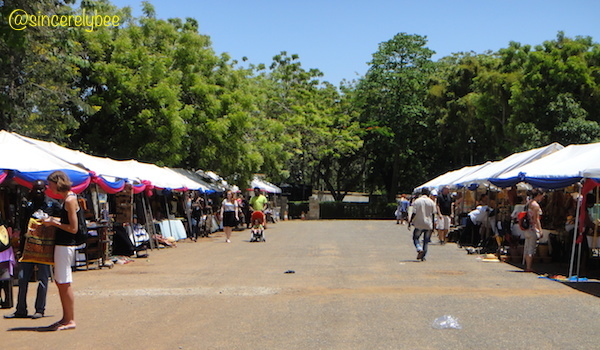 We were there early so there was hardly any crowd. 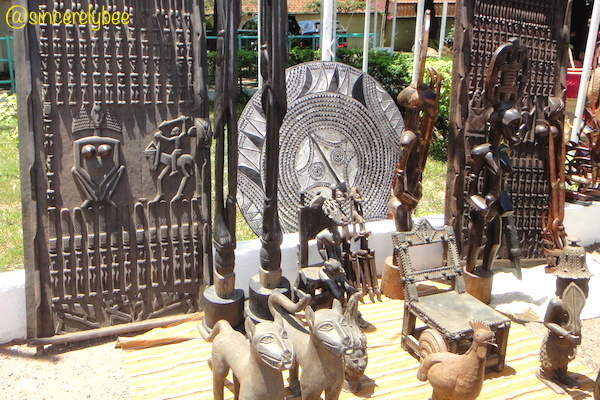 Many stalls such as this, selling local souvenirs. 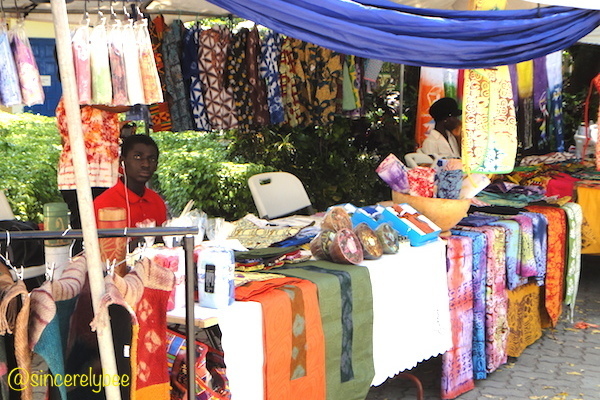 Colourful materials much like our sarong batik, sold as it is, or turned into table runners, mats, napkins, etc. 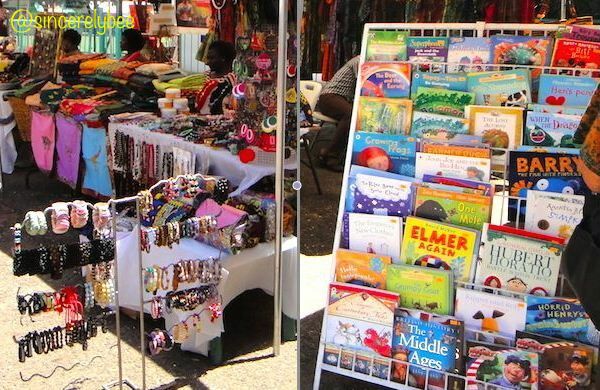 There were jewellery and books. 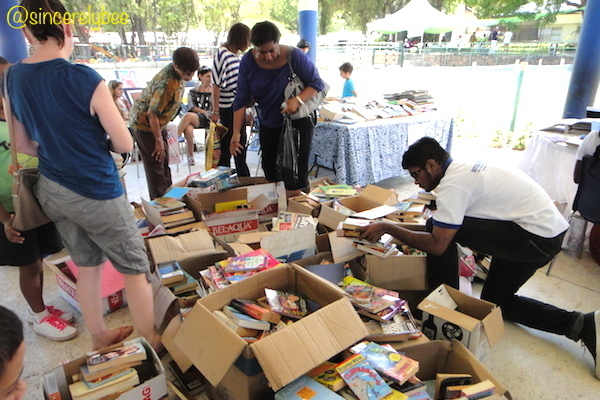 Boxful of second-hand books going for GhC1 each (RM1.20).